Why do we go to power spots such as Pic De Bugarach? Is it the cool thing to do for those metaphysically inclined? Is it a path to God? Will it change us into the infinite beings we wish to become? First thing to consider is we are already highly evolved; infinite beings deep inside of us and most all of us have yet to realize what infinite exactly is. 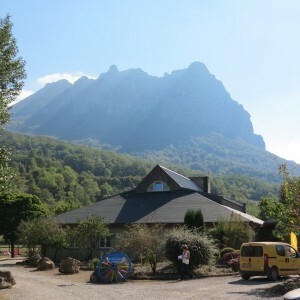 Going to a high vibrational place such as Pic De Bugarach helps us remember what the vibration of infinite is about. Almost as if it is a Pathfinder, as we meditate and experience such a phenomenon we begin to feel it in our conscious mind. We are basically teaching the mind what the body already knows; what higher consciousness is. In general, when we are closer to the light our shadow (repressed emotions and issues) appears stronger. This statement is applicable to the physics of light but also with our emotional self. The deeper we go into the emotional journey the more the shadow will appear in a refined and/or sometimes blunt way. Our issues will come up in more pronounced ways; especially if we are opened to dealing with them. It may be that we are having uncomfortable feelings because repressed anger is rising or a very active dreamtime that is processing the repressed. Some people look at a Stargate such as Pic De Bugarach and see it as a dark energy. The fact is there’s no such thing as good or bad energy; it is simply energy. In this case there is an immense concentration of energy. In such a environment some people who are in fear of their repressed emotions are uncomfortable in being in the presence of a Stargate. The important part to remember is, our body is infinite and it would not guide us to something we could not handle. If we approach the shadow part of this with an self-assurance our fears are a natural part of us; these emotions will comfortably release. If we approach the uprising emotions in reflection and wish to know their message we will have a more profound experience. It is really our choice how we wish these feelings to release. Being in the presence of Stargate always expands such energies as creativity, psychic abilities and a greater connection to a higher power. We can more easily explore our inner selves and do creative ventures such as writing, art or other activities. It is as if we are wired into something that charges us into a more profound awareness; so we are bigger and larger the presence of the Stargate. The more we can become aware of how we expand, perceiving how it feels; we can then learn the vibration. When we go back home we can practice what we learned and integrate it more fully into our lives. For me, I meditate with the energies pf Bugarach whether I am in France or in my home in Austin Texas. Visualizing myself being at a sacred spot. Asking the consciousness of the place to activate the way I remembered it when I was there. I meditate on the energy. My body and mind can then integrate it in a more complete way as practice makes perfect. So being at a Stargate such as Pic De Bugarach can teach us great lessons. We take those energies we learn to integrate them inside of us. From there our vibration changes, we learn to walk with this higher vibration in our daily lives. Consciousness is like a muscle; the more we work it, the bigger it becomes. A power spot is the trainer to stretch us to become more. The more we work out we learn to enjoy ourselves we never have before. Not only is being more conscious rewarding in our soul; it is a lot of fun to be this way.